Not Included: Transportation, snacks on the trail, gratuities for the guide. The Mt Baker Glacier Trek is the ultimate PNW day trip! 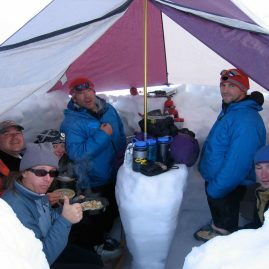 Come trek on the glaciers of Mt Baker, aka Komo Kulshan, located in the North Cascades. The White Watcher’s fame stems from its accessible, enormous glaciers that climbers gravitate to learn on and challenge themselves whether on the gentle Easton Glacier to the knife edge North ridge. 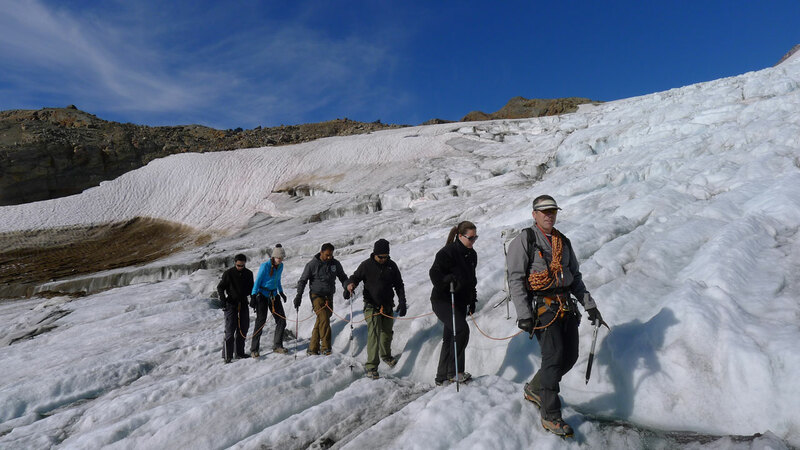 Approaching via the Schrieber’s Meadow, trekkers have ample opportunity to practice their glacier mountaineering skills from the comfort of a 2-3 hour hike to the 6,000′ climbers base camp. We take in the views of the Twin Sisters Range, Mount Rainier, Mt. Shuksan, and the crest of the North Cascades. The mountain’s abundant alpine terrain make Baker an ideal location to enjoy short hike to the vast expanse of the Easton Glacier and walk up to ice walls and look down crevasses in the comfort of your hiking boots! Discussions will include proper clothing, mountain weather, alpine ecology and Leave No Trace ethics. Examine the alpine ecosystem and witness the power of glacial erosion and other alpine features.